I’ve heard of carbon offsetting, but what is ‘insetting’? Companies have been using carbon credits to offset their unavoidable greenhouse gas (GHG) emissions for well over a decade – a practice called carbon offsetting. But a concept called ‘insetting’ has been evolving over the past few years as a way of addressing a company’s carbon footprint within its supply chain. Whereas carbon offsetting may harness the positive impact of a GHG reduction activity totally outside of a company’s direct or indirect operations, insetting refers specifically to GHG reductions that are directly related, either by geography, production, or commodity. Increasingly, companies aligning with global climate targets of 1.5 degrees warming, deforestation-free commodities, net-zero or net-positive emissions, and the Sustainable Development Goals, are looking towards insetting as a credible and valuable solution. The technical definition of insetting refers to a partnership or investment in a GHG emissions-reducing activity within the ‘sphere of influence’ of a company. This sets an important stage for companies looking to take a broader view of their boundary of responsibility. Why is this important? As much as 90% of a company’s climate impact is happening in its supply chain, and often in opaque, globally complex systems. Not always, but often, companies don’t own or operate the production facilities that produce their goods. As a result, they may have limited control over or even knowledge of the specifics of their supply chain. Outsourced production means outsourced emissions, and to date, it’s been convenient to put off addressing them. But the urgency of the climate crisis is mainstreaming, and doing nothing is no longer an option. Insetting creates opportunities for action, and Ecosphere+ projects are at the heart of the solution. To help illustrate what this means in practice, consider a chocolate company. Chocolate bars may sit on grocery shelves innocently enough, in colourful packages boasting distinct and alluring flavours. 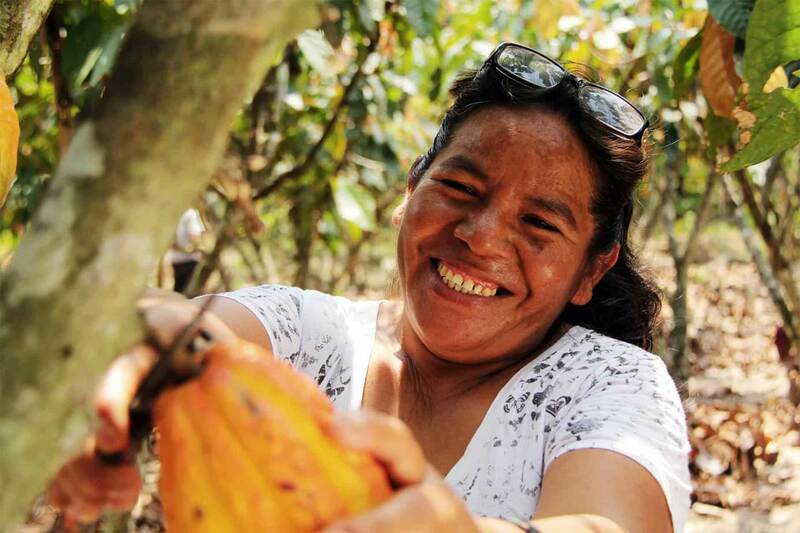 Some may even be organic and Fair Trade, with stories about cacao farmers directly on the packaging. But the story of that cacao is much more complex, and even certified cacao bears a significant land use footprint. Cacao beans are cultivated in tropical regions around the world by smallholder farmers who strongly depend on this crop for their livelihoods. The expansion of chocolate demand during the last 20 years has significantly increased the pressure on tropical rainforests, and cacao bean production is one of the leading drivers of deforestation. 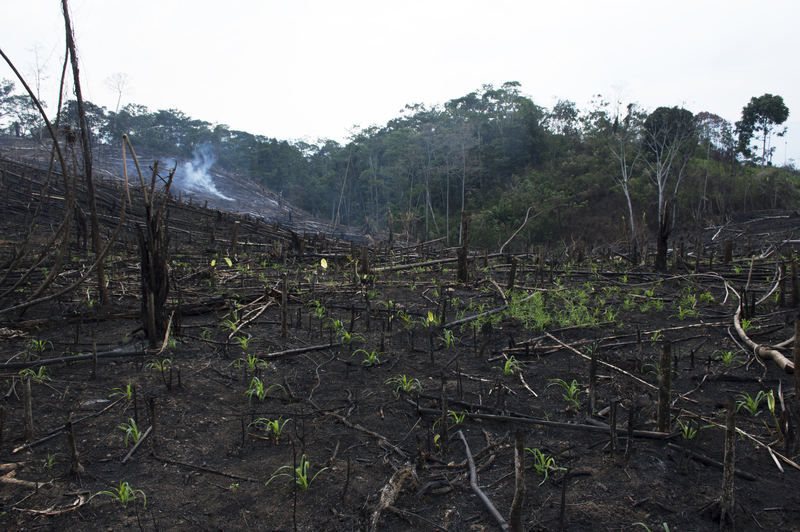 Depending on how the cacao is grown and harvested, the footprint will vary, but in most cases, forest was cleared at some point to make room for cacao trees. To add numbers to this story, a typical chocolate makers’ direct carbon footprint accounts for almost 10% of the total carbon emissions of the final chocolate product, and packaging and logistics account for approximately 20%. 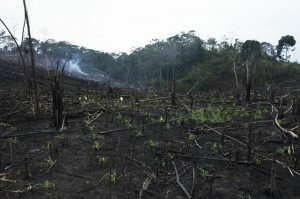 But the biggest proportion of emissions – around 65% – are generated by the land use footprint of cacao cultivation, primarily as a result of deforestation. A 2015 World Resources Institute blog asked ‘How much rainforest is in your chocolate bar?’ and reported that the climate footprint of dark chocolate increases three times when GHG emissions from deforestation is included. Insetting provides chocolate companies and other multinational industries that rely on natural resources with a much needed and flexible solution for taking responsibility. Sticking with chocolate – I mean, why not! 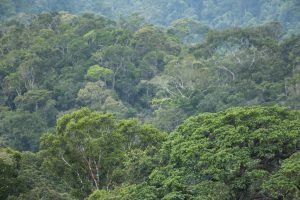 – a chocolate company sourcing cacao from San Martin, Peru can use carbon credits from Ecosphere+’s Cordillera Azul project to compensate for its supply chain emissions. The park is a natural carbon sink at the heart of the region, and the carbon finance supports the protection of the forest and provides farmer education and sustainable production of cacao and other commodities, creating a positive feedback loop for production and the global climate. Insetting gets companies thinking about a ‘landscape’ approach to their supply chains, considering their impact beyond the farm gate and how ecological systems interact with human social systems and the global economy. 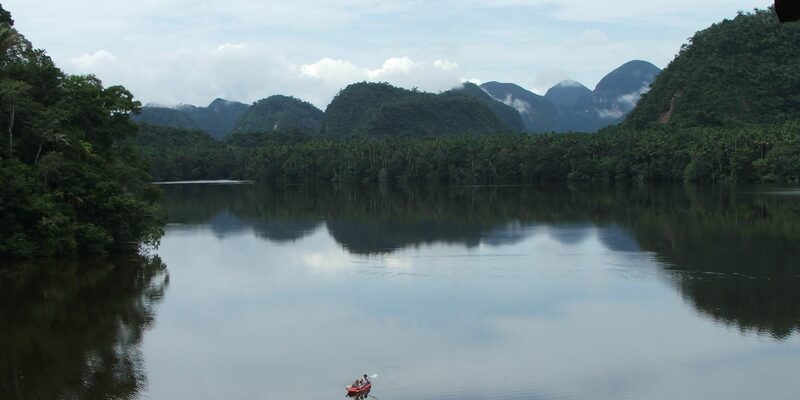 Stay tuned for our follow up blog about landscapes and why this approach is essential to a healthy planet. Ecosphere+ is on the board of the International Insetting Platform and works with companies across various sectors on this approach. Contact us today to discuss how we can help your business understand how insetting could work for you.